When leaders set aside politics and focus instead for the overall welfare of their town, prosperity follows. In the town of Cortes, a united bond has produced bright prospects particularly in the field of tourism. Mayor Jasmine Balistoy said the P25-million annual budget she had submitted for review to the Sangguniang Bayan was approved last Nov. 5 without hitches. She particularly mentioned the efforts of Vice Mayor Rodrigo Uy who have shown total support for the administrationâ€™s development agenda for the coming year 2008. Topping the townâ€™s major project is the development of the docking port which was formerly utilized as a yatch building site of the Ilaw ng Buhay Foundation. The foundation had yielded their contract to the municipal government making it possible for its development as the entrance, starting point of the grandiose Abatan River Cruise project which covers five towns and promises added livelihood to many residents in the area. â€œWe have already initiated a resurvey in the area and an appropriation of about P500,000 is readied for the envisioned eco-tourism river cruise docking port,â€ Mayor Balistoy said. The Bili-Bili Spring in Malayo Norte will also be developed as this will be the first stop of the tourism river cruise. 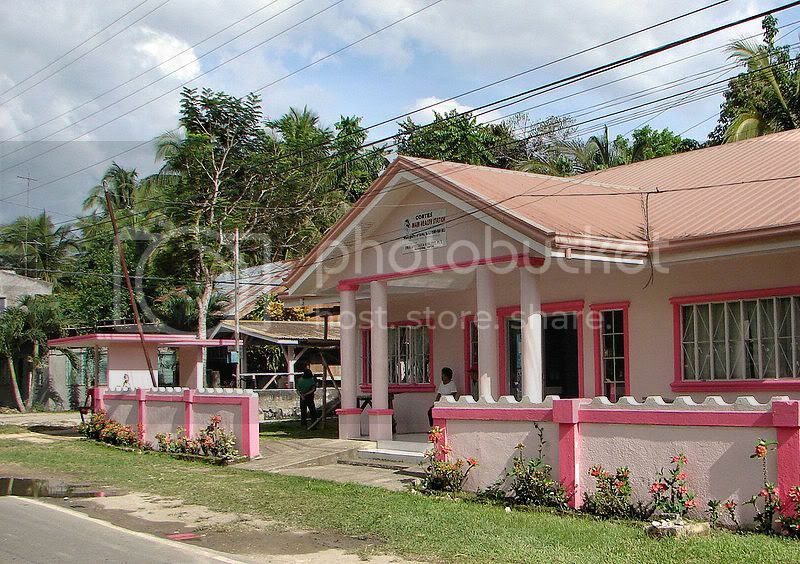 The mayor proudly revealed that the projects implemented in her town incurred no loans. She has now established day care center each for the 14 barangays and health stations will also be constructed. The nine sources of water supply are now installed with automatic chlorinator injection system to insure the health of residents. For 2008, reserve submersible pumps will be purchased to have a ready replacement in case one of the pumping units bogs down. A big water reservoir will also be constructed in barangay De la Paz. In a separate interview, Vice Mayor Rodrigo Uy said he is comfortable working with Mayor Balistoy. He said, the mayor shares the same vision of making Cortes a prosperous town utilizing its tourism and economic potentials. There seems to a a move for Sallvador residents to reclaim the lot which Ilaw ng Buhay Incorporated has rented from the barangay. Ilaw enterted into a contract, and seemingly beleived it has successfully owned the lot already. Now, Cortes local government officials need to confer with Barangay Salvador, lest they would be locking horns for a litigation that may prove to be a stumbling block to the dream tourism port. Rumors has it that there was no public hearing in ceding the lot reclaimed by barangay residents so they could enlarge their IRA share. Now, seemingly, the LGU has taken over and a legal tussle might be upcoming. The probable loser might be the one funding the project. OT basin ni but Ray, ask lang ko. Sakop ba ang Inahan sa Kanunay'ng Panabang sa Cortes? Thanks. What's the new tourist spot in Cortes to be developed? And pink schools. Bawg nananghid ba na sa DepEd. grazie, sakop pa na sa cortes. i think sakop na sa barangay fatima. sample sa pink sa cortes. Kang Apolinaria na siya nga mugna. Mora'g Marikina - " in the pink of health". Wrong. He he he. Naa pa toy sumpay Engr. Apolinaria "Jasmin" Hangad Balistoy, PhD, PA (Res.) ba to? Unya kay naa may daghang billboard nga starring iyang pretty face, diha koy nadunggan nga "In Cortes, kada Hangad Balistoy". gwapa jud siguro na siya sa una. thanks for posting...the above-shown photos are really beautiful! nice/new buildings? hope everything there in Cortez are not pink painted otherwise...looks like "Pink/Red Panther"
The history of Cortes dates back to pre-hispanic times. They already had a form of government way before the coming of the Spaniards. The town was known as â€œMalabagoâ€ after its chief who was a cotemporary of Haring Lomod, otherwise known to many as Tamblot â€“ the first Boholano to raise arms against the Spanish conquistadors. Tamblotâ€™s reign started in early 1600 A.D. and the uprising in 1621 was triggered when a Spanish priest want to take back a silver church bell (Lingganayng Ugis) which he gave to Tamblot in order to put it up in a church he built at Malabago. Tamblot resented such a move; refused to give the bell back and so the feud between him and the Spaniards started. The settlement was transferred to Bahian which was also destroyed by the Spaniards. Again the people settled at Ylaya at the upper part of the river. Not accessible by boats, the people have to berth near the mouth of the river which they eventually called as â€œDayhanganâ€, meaning â€œberthing placeâ€. The people who choose to live near the mouth of the river and along the swamps grew. Their main livelihood was to catch fish so the new settlement was called â€œPamingwitanâ€ or a place where one can catch fish using a fishing rod. Way back in 1793 or 94, the independent parish was established. Finding it hard to pronounce the name of â€œPamingwitanâ€, the town was re-named Cortes, after the Spanish conquistador, Hernan Cortes. Some said it was named after Cortes, a town in Navarre of Northern Spain. 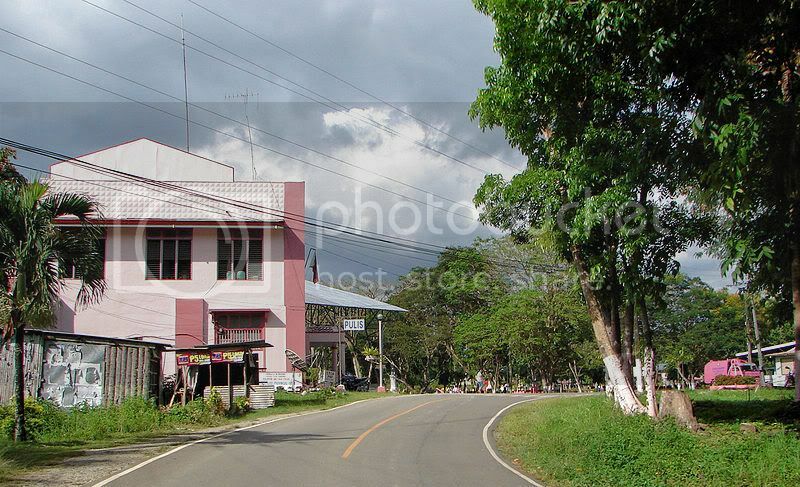 The town was probably established in 1862 during the construction of the Catholic Church wherein the settlements of Malabago, Pamingwitan and Dayhangan where welded into one and called the â€œPueblo de Cortesâ€ derived from the Spanish word â€œcortesimoâ€ meaning â€œmost courteousâ€. The parish was dedicated to the Santo NiÃ±o. The inhabitants of the town were baptized and given instructions in the Catholic faith. Although the church was built way back in 1880, the bell towersâ€™ upper register was completed only in the 20th century. A boyâ€™s school building was constructed in 1895. As reported on local papers, a play based on Cortes' history will be mounted, with the mayor herself essaying the lead female role. I want to know if there are tourist activities in cortez? thanks. what do you mean by tourist activities? do you mean tourist attraction? they put a billboard near the manga bridge for their tourist spots. Oo, moagi na sa among porok. Kadtong tigulaang nga original si Nanay Amen mao gyud to milagrosa, ang gadala karon mga anak na pero ang kapilya mao gihapon. Ambot lang how to explain pero ako sige gyud og dgakot dito. Never gyud nga naa koy gipangayo nga wala niya ihatag. Sa Lourdes na siya sakop. Kanang adbang sa municipyo, ako man ng yuta. Wow, na-homesick na hinuon ko.